Plantronics is a giant among Bluetooth Headsets manufacturers. Plantronics headquarters is situated at Santa Cruz in California and it is a Public Limited or Publicly Held Company. Plantronics has got its offices in 20 countries. Plantronics has got major manufacturing facilities at Netherlands, Mexico, England and China. Apart from manufacturing Bluetooth Headsets, Plantronics also manufactures of various other devices and gadgets that use Bluetooth technology chiefly. Plantronics has got world wide support team consisting various mobile carriers, retailers, system integrators, resellers and mainly Plantronics partners. Plantronics, the major in Bluetooth technologies have many Bluetooth Headsets across the board from above $80 to below $50. First, let us see some of the costliest Bluetooth headsets from Plantronics. Voyager Legend Bluetooth Headset from Plantronics is the latest sensation in Bluetooth Headsets. It provides superior clear audio and entire day comfort to your soft ears. Voyager Legend combines three different and latest technologies to give you elite Headset experience viz., triple mics – this feature helps in outside noise reduction and reduces the wind sound, voice commands – this feature helps you to operate your Bluetooth Headset simply through your voice commands and Smart Sensor technology – this feature helps us in providing pairing, SYNC and other functions with the available Bluetooth devices or gadgets. You can just hear who calls you when you wear the Voyager Legend and respond by saying – "Answer or Ignore" to accept or reject the call respectively. Also you can know the batter level of your Bluetooth Headset just by tapping the voice command button and requesting to check battery level. Even you can check your connection status of your Bluetooth Headset too. 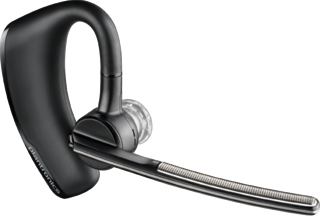 With the above features, Voyager Legend Bluetooth Headset from Plantronics considered to be first of its kind in Intelligent Bluetooth Headsets. Another great feature of Voyager Legend is the moisture protection feature which lets you to work as hard as you can, in rain, sweat and other liquid spills. The latest P2i technology provides great protection against sweat or moisture in Voyager Legend. Specific Nano coating is applied in Voyager Legend Bluetooth Headset which provides resistance from moisture and sweat. Plantronics Voyager Legend can be connected with all the Bluetooth enabled devices / gadgets like Smart Phones or Tablets or Laptops etc. You can use this headset for audio streaming of various audio applications from A2DP phones, GPS, podcasts and also for streaming music. Voyager Legend Bluetooth Headset provides various types of voice alerts about lost connection, low battery etc. This Headset provides WindSmart technology for wind protection by vigorously blocking the intruding wind noise. It also uses the Multipoint pairing technology for maintaining connections with dual devices / gadgets simultaneously. The Voyager Legend Bluetooth Headset has got the following accessories marketed with the original Headset: Voyager Legend Desktop Charge Stand, Voyager Legend micro USB Charge Adapter, Voyager Legend Charge Case, Voyager Legend Charge Cable and Voyager Legend Eartip Kit. It has got batter power up to 7 hours, 11 days. It uses the charger type Micro USB. It weighs 18 grams. It uses Triple-mic active DSP or Digital Signal Processing technology for noise reduction / cancellation. It uses Stainless steel windscreens for wind noise reduction. 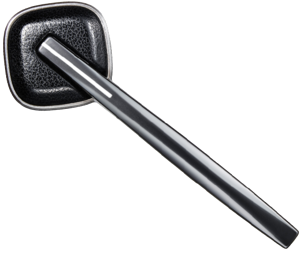 Plantronics Voyager Legend Bluetooth Headset is priced above $80 in international market. This Bluetooth Headset from Plantronics viz., Discovery 975 offers you the comfort of hassle free convenient calls at ease. The Discovery 975 Bluetooth Headset boasts of much clearer quality of audio compared with others. With the help of AudioIQ2 technology, you can now communicate clearly with much noise reduction and devoid of any background noise. The Discovery 975 Bluetooth Headset also uses the WindSmart technology as discussed in the previous paragraphs. Also the twin microphones in this Bluetooth Headset provide you with natural sound of the caller or the music. The Discovery 975 is available with an innovative carrying case whereby you can recharge your earpiece and thus tripling your talk time with the Headset. The ear tips of Discovery 975 Bluetooth Headset are patented and suit your ears well. You can connect to any other Bluetooth device using the Discovery 975 Headset through QuickPair and multi-point technologies, virtually. If you charge this Headset once, you can have 5 hours of talk time and standby for a week. Also you can enjoy voice alerts from this Headset through whispers about lost connection or low battery and more. The Discovery 975 Headset has got a wireless range of 30 Meters. It weighs 8 grams. It uses micro USB for charging. This is another wonderful Bluetooth Headset from Plantronics and Voyager PRO HD uses Smart Sensor technology to redefine your hands-free experience. This Headset is automatically activated when you put it in your ears and it answers your phone calls automatically or toggles your calls between Headset and Mobile Phone. Voyager PRO HD has got the Plantronics MyHeadset application. MyHeadset application provides tools, tricks and tips all required for an Andriod Phone. Also you can combine natural sound and HD audio to get a superior clarity in sound. In total, Voyager PRO HD can be named as smartest headsets for smarter phones. Like the other Bluetooth Headsets narrated above, the Voyager PRO HD hosts Smart Sensor technology which determines your call to be sent to your Headset or your Mobile phone. Also, just by switching on this headset, you can answer any number of calls. In Voyager PRO HD Bluetooth Headset, when you lock the call button of the headset, it completely eliminates any accidental dialing. You can therefore lock the call button in the headset when not in use. It can also be used to stream podcasts, music etc. Any such streaming will be stopped once you take off your headset or just to attend an audio call which you may receive. The MyHeadset application is very much useful as stated above. There is an On Screen Battery Meter for Smart Phones with Android 3.0 or more or for iPhone. The other features of Voyager PRO HD are HD audio + natural, voice alerts for connection, volume, talk time etc. It is known as all day ergonomically fit. Also if you tap thrice on Call button, it dials the so called Vocalyst Voice and Text Service. The above is an introduction to some of the costliest Bluetooth Headsets available in international Indian markets priced above $80 or above INR 4400/-. They are a sure bet for their price tags, that's for sure. 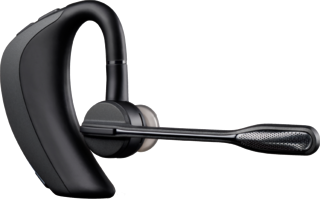 The Plantronics Voyager™PRO HD delivers High Definition Audio quality natural sounding conversations and superior comfort. The smartest headset for your smart phone. Ideal for iPhone & Android.